Sales Performance Training | It's Time to Change the Conversation! Change the Conversation and Connect with Your Guest. Are they visiting from out of town? Is it their first time visiting? As a result, sellers have the information they need to be the expert and to make a great product recommendation. More guests purchase premium products and thus, they enjoy a better Guest Experience. A strong Sales Performance program relies on having good people selling your tickets. They need to love your organization and enjoy talking with people. Skills are easy to teach. Being friendly isn’t necessarily teachable. Therefore, hiring the right people is so important. Hiring for Attitude means identifying and selecting outgoing people who are committed to offering exceptional service and friendly engagement. We provide an extensive HR toolkit that includes job descriptions, interview questions, referral programs, and much more. With the right people hired, our Sales Performance training begins. We customized this program to fit into each of our client’s unique culture. 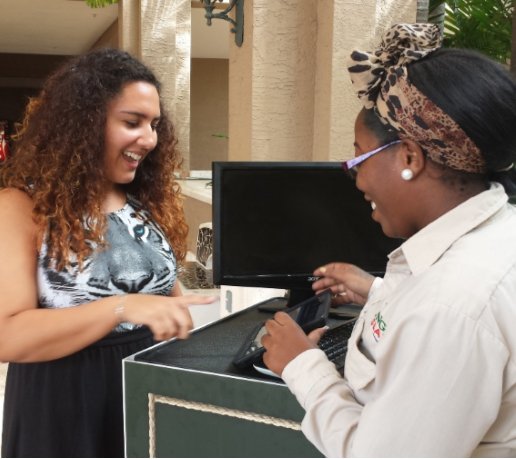 We train them in The Conversational Selling Method so they can best connect with arriving guests. First, sellers greet the guest and build rapport. Second, sellers identify guest needs in order to better understand who is in front of them. Next, they recommend the product they believe best suits the guest in front of them. Finally, they close the conversation the same way that they began it—with class, warmth, and style. Rather than putting them through formal training and then simply ‘letting it ride’, we recommend introducing Sales Coaches. These are trainers who have mastered The Conversational Selling Method and work coach your sellers to achieve excellence. While sellers work on their delivery, Sales Coaches can observe, guide, and celebrate forward progress. As a result, sellers more quickly develop the behaviors that they were introduced to in training.